Listings / Inroads Screenwriting Fellowship – Last Chance to Enter! Discount for INFOLIST! Here’s info on the INROADS SCREENWRITING FELLOWSHIP – now accepting scripts for Feature Films, Shorts, and TV Pilots! PRIZES include meetings with top industry development execs and mentors, plus a Screenwriting Staffing membership, paid travel to Los Angeles, and more! Details are below – as always, feel free to forward if you know someone who might be interested, and be sure to use code 25INFOLIST for 25% OFF on submission fees! 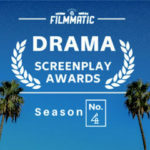 CALL FOR SCREENPLAYS – FEATURES, SHORTS, AND TV PILOTS! We are now accepting submissions of SCREENPLAYS for feature films, short films, and TV Pilots! LAST CHANCE TO ENTER – Final Submission Deadline is March 31st, 2019! Absolute Final Deadline to Submit: March 31st, 2019! INFOLIST.com members can use special discount code 25INFOLIST and get over 25% OFF on Submission Fees! That’s just $37 (normally $50!) for feature scripts and TV Pilots, and only $18 (normally $25!) for short scripts! Final Deadline to submit is March 31st, 2019, so don’t wait! Finalists, Winners and Inroads Fellow announced 5/15/2019!